Whether it’s the jazz, blues, and nightlife of Bourbon Street, the grand mansions of the Garden District, or the quintessential New Orleans cuisine of the French Quarter, this vibrant city never disappoints. Whether you’re in town for a Saints football game, a visit to Tulane University, or the annual Mardi Gras celebration, you’ll want to check out these 25 New Orleans accommodations. 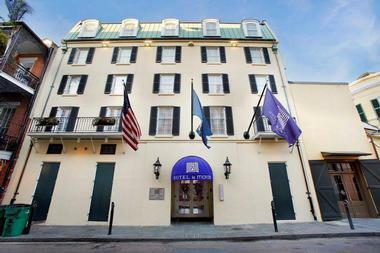 Just steps from the French Quarter, the Windsor Court Hotel is surrounded by a city full of history and vibrant energy. An award-winning hotel, Windsor Court provides visitors with an elegant retreat styled in French-inspired décor as timeless as the city itself. The hotel easily provides the comforts of home without sacrificing elegance. Guests should expect special touches like expansive windows, wet bars, marble baths, French doors, private parlors, and secluded balconies. 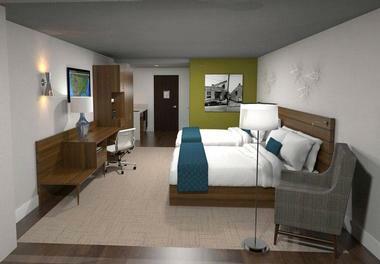 Even more awe-worthy than the guestrooms are the numerous onsite hotel amenities and shared spaces. This includes a rooftop pool with impressive views, a luxury spa, lounges, award-winning restaurants, a tea room, and even a private art collection for their guests to peruse. Le Pavillon is one of New Orleans' most historic hotels, located within the city's Central Business District near top attraction such as the Superdome and the French Quarter. The hotel, which was originally opened in 1907 as the New Denechaud Hotel, is listed on the National Register of Historic Places today and retains its Victorian-era ambiance, showcasing authentic antiques and 19th-century paintings throughout its splendid guest rooms and visitor areas. Deluxe double and king beds showcase top amenities such as high-definition televisions and in-room safes, while oversized rooms upgrade to private living room areas with fireplaces. Themed suites are also available, including the masculine-style Royal Street Suite and the music-inspired Frenchmen Street Suite. Guests can dine at the hotel's signature Bijoux at Le Pavillon restaurant or take advantage of its beautiful rooftop swimming pool, which offers panoramic views of the city's skyline. 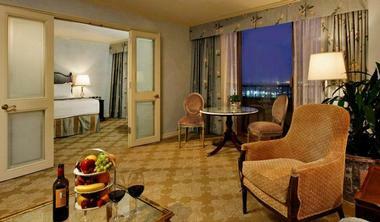 Guests looking for a historic luxury hotel with modern amenities will find it at Bourbon Orleans Hotel. 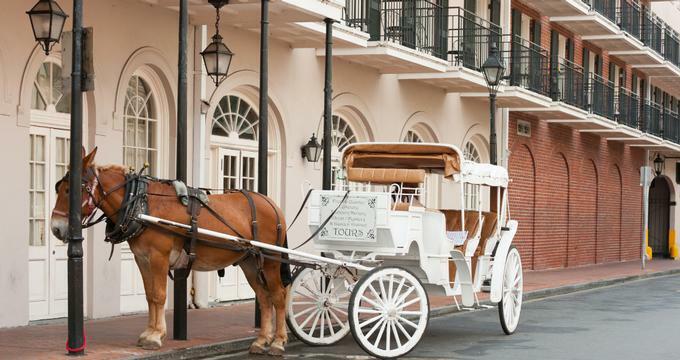 Located in the French Quarter, this upscale hotel has been meticulously restored. Rooms come in three elegant styles featuring king, queen, and double beds. There are also five styles of suites. All rooms and suites include 42” TVs, MP3 docking stations, and complimentary Wi-Fi. Hotel amenities include valet parking, an outdoor saltwater pool, a fitness center, and their signature Bourbon “O” bar, and Roux on Orleans Creole Restaurant. The hotel is nestled between Jackson Square and St. Louis Cathedral, a half-block from famous Bourbon Street. Cambria Hotel is a new boutique hotel in the Downtown Warehouse District that is within walking distance of both the French Quarter and the Downtown Business District. Their high-tech, spacious rooms come in two styles – Deluxe King and Deluxe Two Queen. 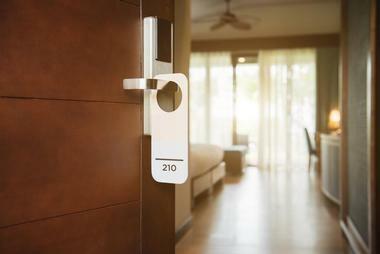 Suites also come in two styles – Executive King and Premier King. Room and suite amenities include spa-style bathrooms, Cuisinart coffeemakers, and refrigerators. Room tech amenities include 55” smart TVs, Roomio-Connectivity, USB charging stations, and complimentary high-speed Internet and Wi-Fi. Hotel amenities feature valet parking, a complimentary fitness center, an on-site Grab & Go Market, and their signature NOLA-inspired bistro/bar. 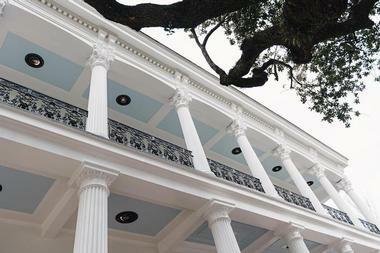 Canal Street Inn is a Greek revival mansion built in 1912. It sits among elm and oak shade trees, patches of colorful azaleas, and other garden flowers. Inside, the architecture is marked by detailed craftsmanship. Guests will find touches like stained-glass windows, period archways, and gorgeous woodwork. There are 10 rooms and suites on three levels. First floor traditional rooms have been meticulously restored, and the other two levels feature rooms and suites with a contemporary vibe. Guests can enjoy a gourmet breakfast either in the elegant dining room or at a bistro table on the screened-in back porch. All accommodations have plasma TVs and complimentary Wi-Fi. Chimes Bed & Breakfast breathes new life into the word, charming. 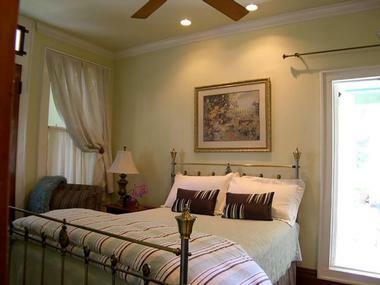 This elegant country-inspired B&B is in the urban Uptown/Garden District of New Orleans. The neighborhood is the embodiment of historic architecture and romance. Chimes offers a selection of five contemporary rooms with a natural country-chic décor. They’re light and airy, and have private entrances that open onto a lovely courtyard. Room amenities include coffeemakers, flat-screen TVs with cable, and complimentary Wi-Fi. A full breakfast is served each morning in the dining room. There are two courtyards for relaxing, and parking is free. The knowledgeable owners have been sharing stories and recommendations with guests for over 32 years. Creole Gardens is located halfway between the Garden District and the French Quarter, just a block from St. Charles. The brightly-colored antebellum mansion has 24 rooms, plus two across the street. Mansion Rooms are traditionally decorated and feature king beds. Seven Bordello Rooms are named for famous madams of the Red Light District and are painted various shades of red. Most have queen beds. Thirteen cottage rooms are light and bright with tropical décor, and open onto a courtyard lush with banana trees. Two cottage apartments with king and single beds are across the street. Guests can expect a Southern-style breakfast, complimentary Wi-Fi, and free parking. Elysian Fields Inn is located in the historic neighborhood of Faubourg Marigny about five blocks from the French Quarter. It’s one block from Frenchmen Street where guests will find over 60 tantalizing restaurants, bars, and a lively artists’ market. Guests can expect creole cuisine, bohemian shopping, and live music in The Marigny, as locals call it. 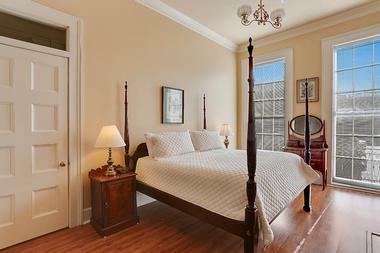 There are nine rooms in the Inn that are classically-styled to reflect the spirit of New Orleans. All have ensuites and either king or queen beds with the possibility of two twin beds. Hot or continental breakfasts are served in the common area each morning. Grenoble House is located on Dauphine Street in the French Quarter. It’s within walking distance of the Business District, Canal Street, and Bourbon Street. The 19th-century guesthouse is a serene sanctuary in the midst of New Orleans’ most popular places. It features classic furnishings, exposed brick walls, winding staircases, towering ceilings, fireplaces, and state-of-the-art amenities. There are 17 stylish suites that have been beautifully restored with modern well-equipped kitchens, cable TV, and complimentary Wi-Fi. They feature neutral color palettes, wood flooring, modern lighting, and eye-catching architectural details. There is no parking on-site, but there is a paid parking garage within a block of Grenoble House. Henry Howard Hotel is located in the Garden District. This Greek revival, luxury boutique hotel has been featured in no less than 26 magazines from Conde Nast Traveler to Vogue. It is quintessentially New Orleans with modern stylish flair. The hotel has 18 rooms that provide guests with an oasis of tranquility. Décor includes custom and vintage furniture, original local artwork, gleaming wood floors, and luxurious details. Guests can expect premium TV selections, complimentary Wi-Fi, and signature Beekman 1802 spa products. Double galleries with Corinthian columns and 12-foot floor-to-ceiling windows ensure guests never miss a thing. A serene flagstone patio out back is the perfect place to relax. Hotel le Marais is an upscale 66-room hotel in the midst of the French Quarter’s best shopping, art galleries, and restaurants. It’s less than a block from the nightlife and jazz clubs of Bourbon Street too. Guests are welcomed to their stay with a complimentary cocktail or beverage. Décor in the sophisticated rooms is neutral with pops of purple, rose, and black. Room amenities include 42” flat-screen TVs, iPhone docking, coffee makers, high speed Internet and complimentary Wi-Fi, walk-in showers, granite counters, signature spa products, and plush bathrobes. Deluxe rooms have limited views, Superior rooms have French Quarter or courtyard views, and Premium rooms share the same views as Superior, but also have balconies. Hotel Mazarin is located in the French Quarter one-half block from the jazz scene of Bourbon Street, and one-half block from the shopping of Royal Street. The 102 spacious rooms and suites cater to the savvy modern traveler. Guestrooms come in five styles – four with king beds and one with double queen beds. Rooms feature complimentary Wi-Fi, iPhone docking stations, walk-in showers, slippers and bathrobes, in-room safes, bottled water, daily newspaper, and coffeemakers. Three styles of suites – Petit, Presidential, and Fleur de Lis feature king beds balconies, faux fireplaces, and Keurig coffeemakers. Hotel amenities include complimentary deluxe breakfast, a fitness center, a business center, and their signature restaurant and bar – 21st Amendment Bar at La Louisiane and Patrick’s Bar Vin Wine Bar. Inn at the Old Jail was once a 1902 police station and jail. The Queen Anne building was meticulously restored by the innkeepers over three years to a gorgeous nine-room boutique hotel. The Inn bursts with architectural detail and 19th-century French and American antiques, exposed brick, reclaimed wood trim, original concrete or burnished wood floors, beadboard, and large windows. The ensuite rooms, five of which are named after fallen New Orleans police officers, have memory foam beds, Venezuelan décor, and modern amenities. There are no TVs in rooms, but there is a 55” TV in the living room. There is a baby grand piano in an upstairs alcove, and a 2,500-square-foot deck outdoors. 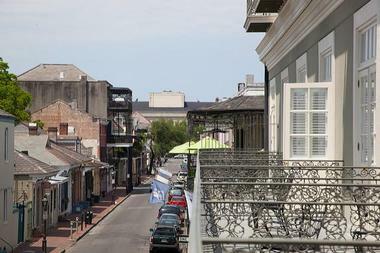 Jazz Quarters may be one of New Orleans’ most interesting places to stay. 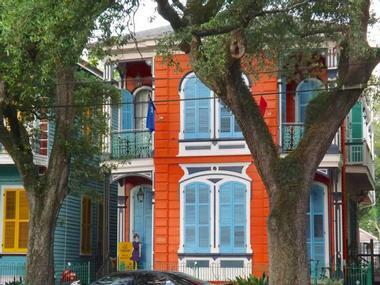 This Creole hotel pays homage to the city’s vibrant jazz musicians, it is furnished with local artwork and antiques. Accommodations include a mix of suites and cottages unlike any other boutique hotel. 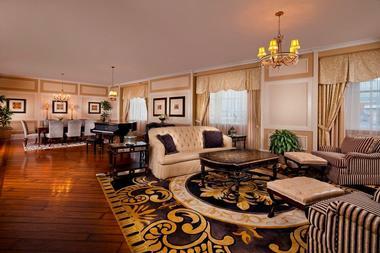 They range from a one-bedroom king suite to the six-bedroom, eight bed Jazz Trio. Outdoors, guests can expect a hot tub and barbecue pit among lush landscaping, a patio, and a fountain. Amenities include flat-screen TV, complimentary Wi-Fi, in-room coffee service and refrigerator, complimentary on-site parking, and concierge level recommendations by the knowledgeable innkeepers. 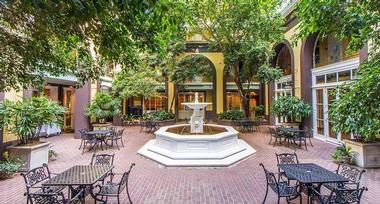 Jazz Quarters is located in the French Quarter across from beautiful Louis Armstrong Park. 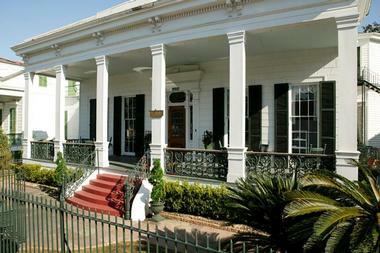 A boutique hotel unlike any other in New Orleans, La Belle Esplanade is a historic manor built in 1883. 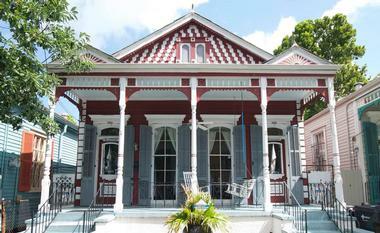 This beautifully restored piece of Creole history has become a delightful bed and breakfast with five uniquely decorated, lavish suites. Though no two suites are decorated in the same fashion, each one of them offers its own distinct charm and upgraded amenities. This includes the ethereal Les Fleurs suite boasting a soaring sky-blue painted ceiling, antique claw foot tub, and a front porch overlooking Gayarre Park and Esplanade Avenue. All of the suites are equipped with private outdoor spaces, a coffee/tea maker, refrigerator, and flat screen TVs, as well as complimentary Wi-Fi, drinks, and a curated breakfast each morning. A landmark hotel located just a few minutes’ walk to the French Quarter, the historic Roosevelt New Orleans Waldorf Astoria hotel offers guests luxurious southern hospitality. The hotel provides a wealth of amenities to its guests including the legendary Sazerac Bar and the Waldorf Astoria Spa. A seasonal rooftop pool and bar, the award-winning John Besh Italian restaurant – Domenica, and live music at either the Blue Room or the Fountain Lounge are among the amenities. The only thing more sensational then the amenities are the opulently decorated and lavish guestrooms and suites. A champagne and rich red wine color palate creates a soothing space highlighted by ebony furnishings, elegant draperies, and grand windows. 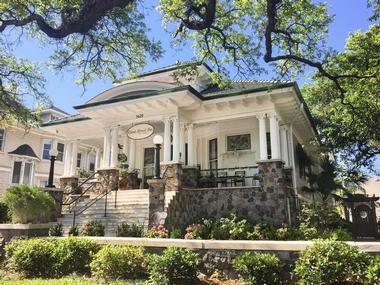 Nestled in New Orleans’ Uptown/Garden District, Maison Perrier Bed & Breakfast provides a casual elegance with its delicate chandeliers, ornamental woodwork, remarkable antiques, and Southern hospitality. The historic charm of the inn embraces modern amenities that include two-person Jacuzzi tubs, spacious walk-in showers, flat screen TVs, and even fully equipped contemporary kitchens in some of the guestrooms. All of their nine suites are uniquely decorated with their own style and feel. From the quaint white and black sophistication of the Desiree guestroom to the opulent Victorian-style of the expansive Claudette guestroom, Maison Perrier is ideal for all types of travelers. Situated on Prytania Street in the Lower Garden District of New Orleans, the Parisian Courtyard and Bed & Breakfast is just a quick walk away from the French Quarter, St Charles Avenue, Magazine Street, CBD, and the Convention Center. Its convenient location makes it a major draw to visitors who want easy access to all the action of the city. 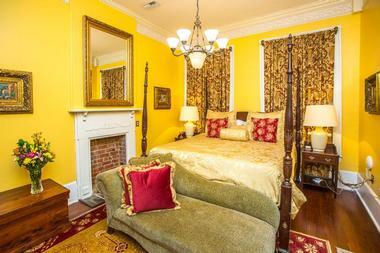 Built in 1846, this historic ten guestroom Inn boasts a beautiful design and exquisite décor. A spiral staircase, exceptional double parlors, and three exquisite outdoor patios are just a few of its highlights. 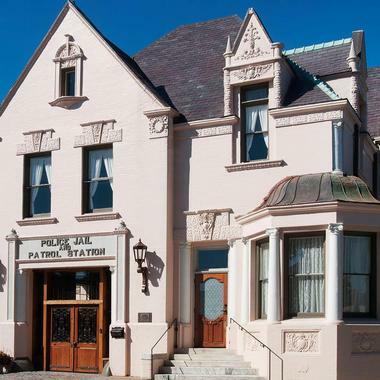 Each of the rooms has been painstakingly restored to its Civil War era beauty with all the amenities visitors would expect from a top-rated bed and breakfast. 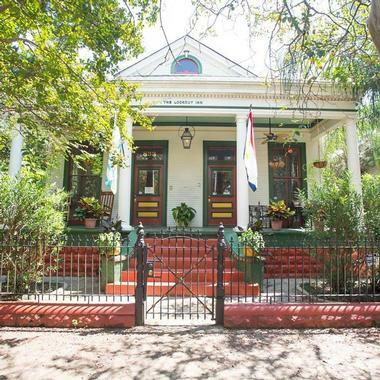 The Burgundy Bed and Breakfast is a located within a pristinely restored 1890s shotgun double style home reflective of New Orleans traditional style architecture. Nearly everything inside the house is original including the 12-foot ceilings, hardwood floors, windows, pocket doors, and decorative non-functioning fireplaces. The owners made every effort they could to keep the authentic character of the inn alive for their guest’s enjoyment. Each of their four guestrooms with attached private bathrooms offer their own unique style and ambiance. The hotel also features an array of common areas for guest’s to use this includes a courtyard, porches, a carriage house with a Jacuzzi, kitchen, dining room, and parlor which serves as a sitting room, meeting room, and cyber café. Located in the Lower Garden District, The Green House Inn is a historic Greek-Revival side hall townhouse turned beautifully restored bed and breakfast. Originally built in 1840, it boasts a charming pastel green edifice with an exquisite tropically designed outdoor courtyard. The Green House has a very European vibe, which is demonstrated by its clothing optional saltwater swimming pool featuring sluicing waterfalls, an oversized hot tub, and fiber optic lighting. Indoors, guests will be delighted by the beautiful hardwood floors, exposed beam ceilings, luxurious mahogany furnishings, and gorgeous antiques. Each of their well-appointed rooms feature a simple, yet elegant, design with vintage décor seamlessly intermixed with modern amenities. 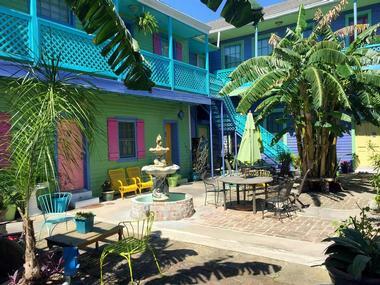 The Lookout Inn of New Orleans is set in the dynamic Bywater neighborhood. Slightly off-the-beaten-path, this sparkling hidden gem boasts four imaginatively themed suites with spacious private bathrooms attached. Guests can choose between Elvis, Mission, Mardi Gras, and Bollywood themed rooms. Visitors should ask the owners about the method behind the madness of naming the rooms. It’s this fun-loving, slightly kooky spirit which makes The Lookout inn so unique and enjoyable. Outside their rooms, guests can relax in the Inn’s common areas which include a verdant, tropically designed back courtyard with a quaint pool and relaxing seating areas. 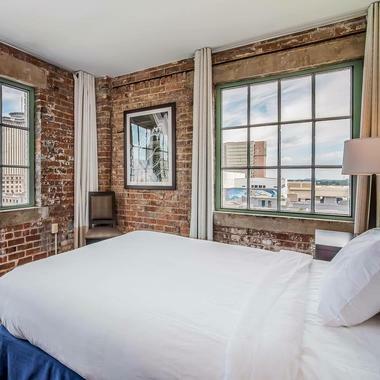 Situated in the heart of the Warehouse/Arts District of the Big Easy, The Mercantile Hotel is within walking distance of the iconic French Quarter and some of the city’s best restaurants, galleries, museums, and clubs. An all-suites boutique hotel, each of the accommodations feature separate sleeping and living areas. This historic hotel boasts an industrially chic décor with exposed brick walls and grand picture windows overlooking the city. The suites are highlighted by simple yet elegant urban furnishings as well as upgraded modern amenities. Guests should expect luxury bedding, Keurig coffeemakers, record players, and Aveda bath products. They even provide local guides, in case guests would like to explore the real New Orleans. 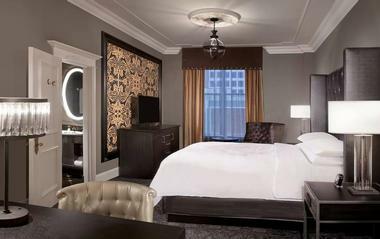 Located in New Orleans’ Uptown neighborhood, historic Alder Hotel offers king and double queen accommodations. Contemporary rooms have a muted grey, taupe, and olive color palette that complements stylish wood furnishings. Room amenities include refrigerators, safes, microwaves, large screen TVs, and coffeemakers. Hotel amenities include a 24-hour market, courtyard, pool, and business center. Complimentary newspaper, Wi-Fi, continental breakfast, and parking provide added value. Its central location makes it a good choice for guests who are in New Orleans for medical care at Ochsner Baptist Medical, or visiting Loyola, Xavier, or Tulane universities. 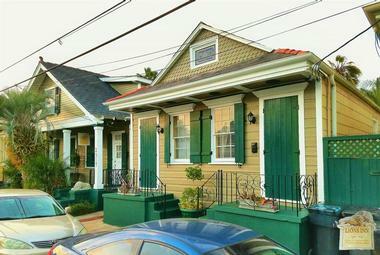 It’s also close to Freret Street entertainment, shopping, and dining hub. This hotel is pet-friendly. 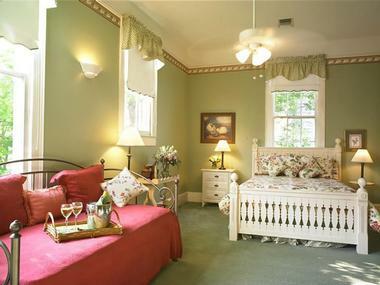 Nestled in the alluring Esplanade Ridge Historic District, Ashton’s Bed & Breakfast is a historic luxury accommodation. The centrally located B&B is near both City Park, an enchanting 1,300-acre urban park, and the wildly popular French Quarter. Eight luxurious guestrooms have their own distinctive antebellum décor in this well-preserved mansion. Guests are served a gourmet breakfast each morning. Entrées reflect the city’s love affair with Cajun, Creole, and Southern traditions. 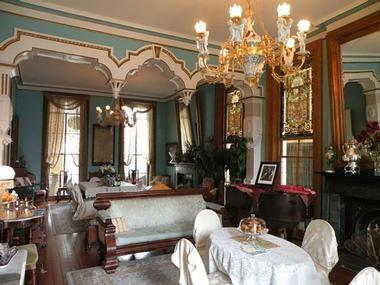 There is also a charming parlor featuring an original marble fireplace and stunning chandelier. Guests can unwind on the wide veranda out front, or stroll the gardens and relax on the sprawling patio under a 300-year-old oak tree in back. 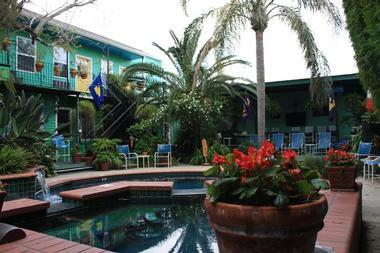 Located in New Orleans’ historic Marigny neighborhood, LIONS INN Bed and Breakfast is a romantic alternative to the city’s traditional accommodations, offering guests laid-back elegance. 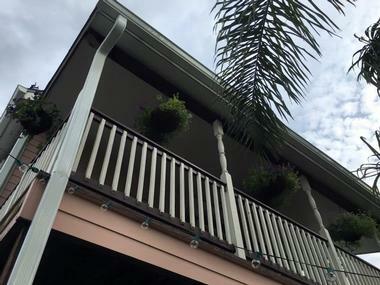 The B&B is situated close to the majority of the city’s top attractions, the infamous nightlife of the French Quarter, and the lively music of Bourbon Street. With all the captivating energy of the city, LIONS INN takes pride in the ability to provide their guests with much needed respite at the end of each day. A combination of two historic residences, the inn provides ten elegantly decorated guestrooms, a swimming pool, Jacuzzi hot tub, and a beautiful garden area that’s ideal for enjoying their complimentary breakfast.